Leadership Class Saturday, September 17th at 12:00pm, for all Black Belt Club Members, please rsvp asap! Annie started with AASD in June of 2012. 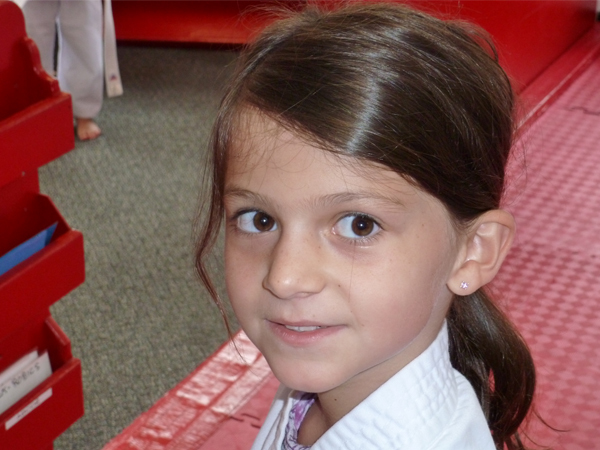 As a 2nd degree Brown Belt, Annie enjoys classes with her brother Tommy, and sister Katie. Annie’s skills have tremendously improved over time, making her a true asset to the school as far as someone others should emulate. Always a pleasure in class, Annie can be counted on to ask questions for someone far beyond her years in maturity. She shows a real ability to help younger ones and is always giving 100% effort. Sifu Rick would like to salute Annie’s parents, Kevin and Amie, for all their support of Annie, her brother and sister, along with our black belt school. Every day thousands of people make a decision to start eating better, losing weight and being healthier. Most of those people do not have a plan or any idea of what they are doing. Healthy eating is not about strict dietary limitations, trying to be unrealistically thin, or depriving yourself of foods you love. Healthy eating is about feeling great, having more energy, improving your outlook and enhancing your mood. Here are a few tips on how to get started eating healthy and enjoy a tasty, varied and healthy diet for you and your family. Set yourself up for success. Begin planning a healthy diet as a number of small things to change rather than one big drastic change. As these small changes become habit, you can continue to keep adding more and more healthy choices to your lifestyle. Prepare more of your own meals so that you are in control of what exactly is going into your food and into your body. Keep things simple by avoiding packaged and processed foods and opting for fresh, colorful options. Read the labels on the food you purchase. It is important to see what is in the food you are eating because companies like to hide sugars and fats in foods that seem to be “healthy”. Also, be sure to drink plenty of water. Water helps flush your system of waste and toxins. Being dehydrated can actually cause you to be tired, have low energy and cause headaches. It is common to mistake being thirsty for being hungry so keeping hydrated will help you make these healthier food choices. Moderation is key. This simply means only eating what your body needs and watching portion sizes. Keeping an appropriate balance of protein, fat, fiber, carbohydrates, vitamins and minerals in key to sustain a healthy body. Many people think moderation means you have to cut out the foods you love. You don’t. You just have to watch the portion size and keep your daily intake balanced. In the United States, portion sizes are out of control when dining out. Think smaller portions and if you do not feel satisfied after a meal, finish it off with extra veggies or fruits. Another key to moderation is stop eating before you are full because your body actually does not let you know that you are full until a few minutes after. Eating slowly can help you not overeat and maintain moderation. We could go on and on with the examples. Why do we do this? Why do we just talk about it and never actually do something about it? The reasons/excuses are endless. One would bet though that the majority of the time, it is because people are lazy and/or don’t make it a true priority. If someone truly thought that eating healthy and exercising were important to their quality of life, they would make the time and put in the effort. What can we do to change? There are many things you can do, but let’s take a look at a few. Decide. Make the decision that this is it and mean it. Get up off your behind and go take a walk. Do 25 jumping jacks, push ups, squats. Yes. Right now! Get up and do some sort of activity that can be deemed exercise. This is you taking a stand. You are not putting up with your own excuses any longer and you are taking action this instant. Don’t wait any longer, you have been doing that for far too long! Write them down. Write all of those things you have been saying you should or need to do down. Congratulations, you have now set some goals! Writing them down starts the process and provides some sense of commitment. Map them out. Map out how you are going to accomplish your goals. Take a look at what you want to accomplish and if it is too large to accomplish in a short period of time, break it up. For example. If you want or need to lose 25 pounds, that is going to be really difficult to do in 30 days. So, let’s break it down and set a goal to lose 10 pounds in month 1, 10 more pounds in month 2 and 5 in month 3. When we break down our larger goals into smaller more manageable ones, it makes it a little easier to accomplish them and stick with it. Once you have broken them down if necessary, you then need to write down what you are going to do to accomplish those goals. As an example, for losing weight, you should write down what you are going to adjust/do with your diet as well as exercise. Lay it all out so you have clear direction on what to do. If you are unsure, seek out a professional that can assist in making your goals more manageable as well as mapping out what you need to do to accomplish them. Reward yourself. Here is the tricky part! A lot of people reward themselves with garbage food. As much as you want that cake or pie or whatever it is that is calling your name, it’s not worth it! Instead of making food your reward, find something else. Maybe it’s a new outfit or a new bathing suit. Heck, it could be a vacation. Whatever you can do within your budget to keep yourself motivated. If you stick with things, you’re going to need new clothes anyways! In the end, you and you alone have to make the decision. It all starts there. No matter what your doctor is saying, no matter how much you say you want things to be different, no matter how much support you will have, none of it matters if you don’t make the decision to change and take action immediately. Your future is as bright as you want it to be, but you have to want it bad enough. So, take a picture of yourself. That was the old you. Say bye to the old you that was all talk and no action and don’t look back! Go on, get moving. Your healthier self is impatiently waiting.